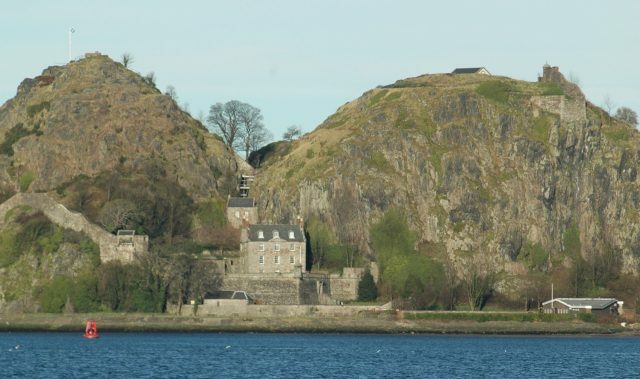 Dumbarton Castle is the most ancient continuously fortified place used in Scotland and all of the British Isles. 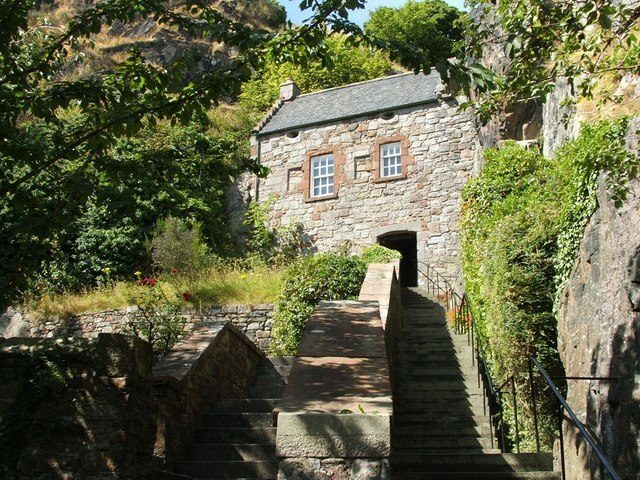 It is located in the ancient capital of Scotland, Dumbarton and it’s amazingly sited on a volcanic rock overlooking the River Clyde. 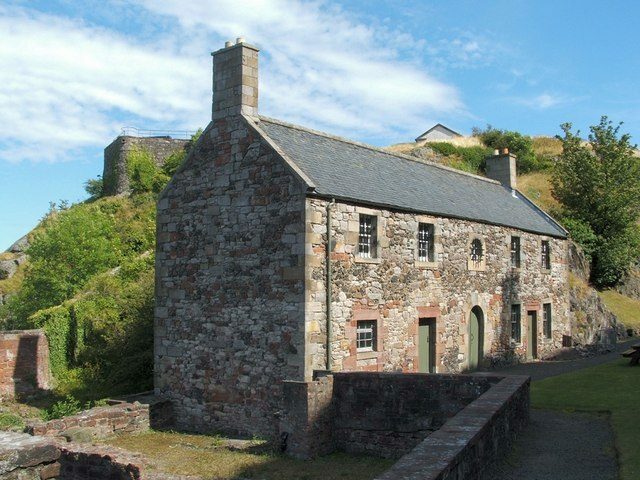 The history of the castle goes back 1, 500 years ago and it is known as the “Fort of the Britons.” It was the center of the independent Kingdom of Strathclyde, and the first king was Ridech Hael in about 570 AD. 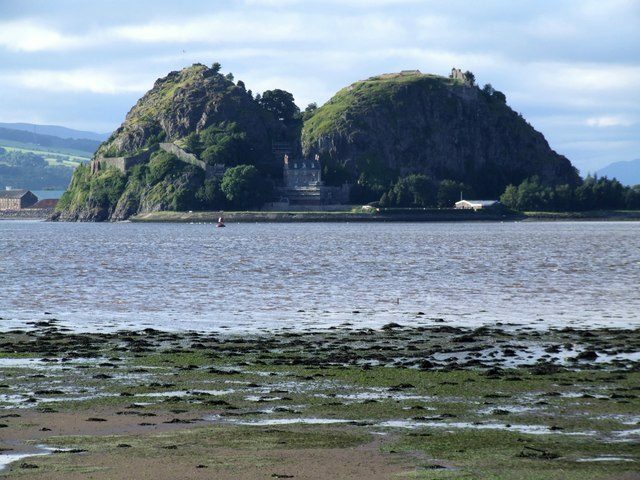 The Brythonic name for Dumbarton Rock was Alt Clut which became a metonym for a kingdom. It is said that during the reign of King Hael, Merlin stayed at Alt Cult, and according to a legend, Arthur here left his sick nephew Hoel of Brittany who made a full recovery but soon was besieged by the Picts in the castle. The first losses of the Rock were recorded in 756 when the fortress was captured by the joint forces of Picts and Northumbrians after a siege and lost it again a few days later. In 871, the fortress was sieged by Vikings, the Irish Viking Kings Amalib and Imar returned to Ireland with British, Pictish, and English captives and 200 ships. 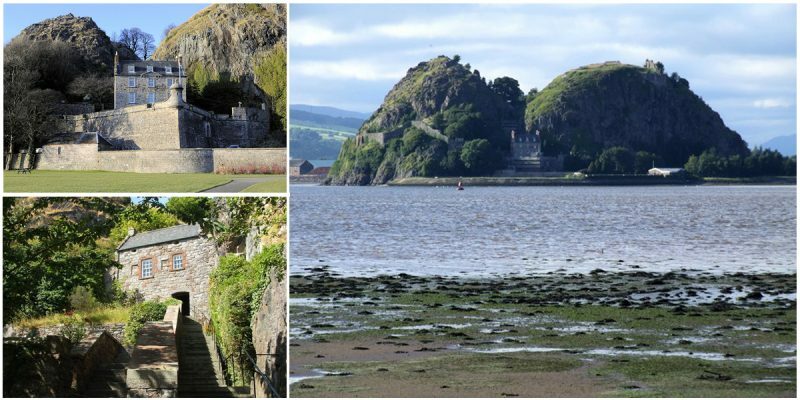 After this destruction, until the 13th century, there are no records of Dumbarton Rock. In 1333, the castle became an important royal residence which was the home of David II and his wife Joan of The Tower. The castle was attacked in 1425 by James Mor Stewart, known as James the Fat. After he was imprisoned by King James I of Scotland, James became one of the most powerful enemies to the crown. 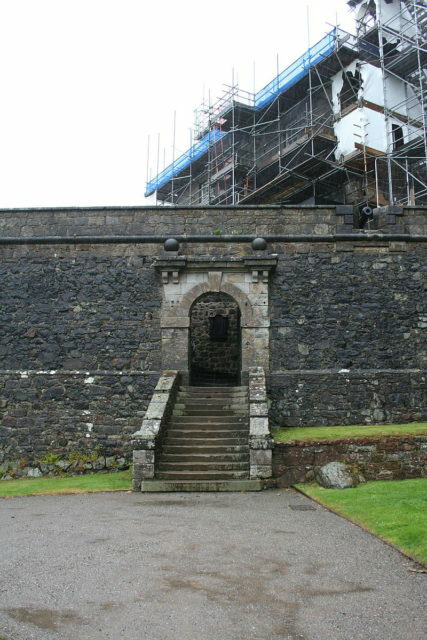 He raised a large rebellion and burned the town of Dumbarton, but he didn’t overtake the castle because it was successfully defended by John Colquhoun. 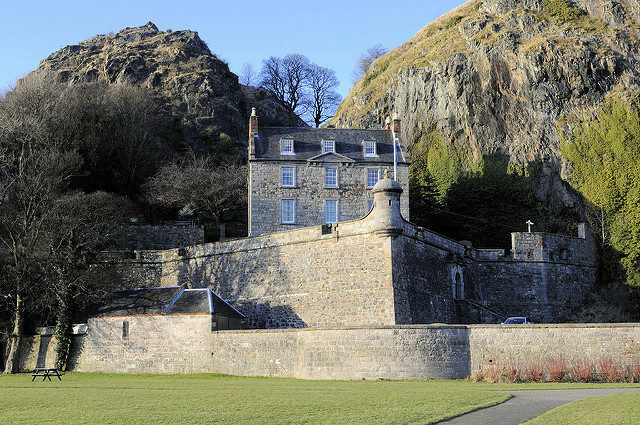 During the reign of James IV, Dumbarton became the King’s base for visiting the Western Isles. In 1505, the ship Columb was built in honor of Christopher Columbus by John Ramsay, and the same year a sword that belonged to William Wallace was repaired. In 1514, during the Battle of Flodden, the castle was captured by the Earl of Lennox, and in 1545 it was captured on behalf of the child Mary Queen of Scots who came here for safety before sailing to France. Most of the earlier buildings of the castle were swept away between 1670 and 1790 and were replaced with the buildings that can be seen today. 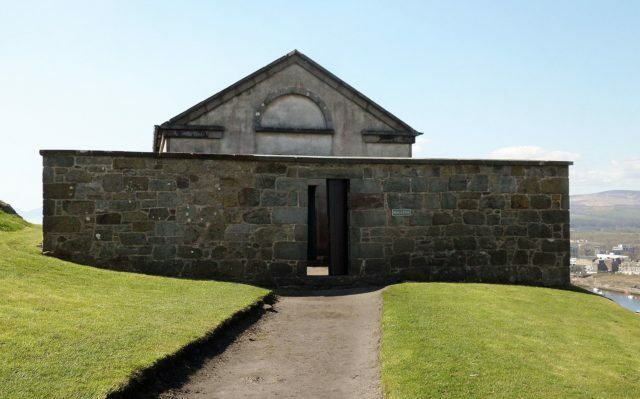 In 1735, the Governor’s House, built for John Kennedy, 8th Earl of Cassilis and King George’s Battery were built. In the cleft between the peaks only the “French Prison” remains to witness the past. The castle was left by the military in 1865 because it became a very popular tourist attraction. The last action of the castle was in 1941, when a German aircraft dropped bombs on it during the raid on the Clyde.